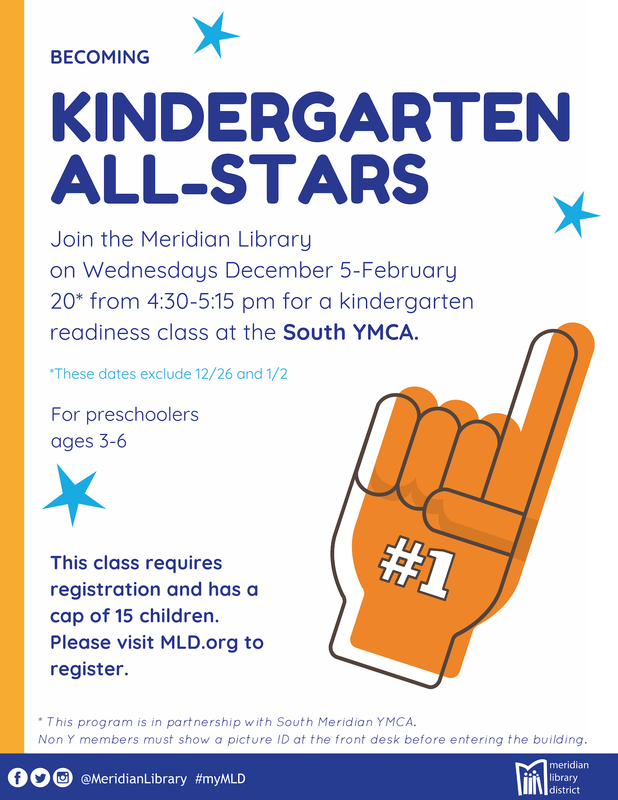 Sign up for our kindergarten readiness class at the South YMCA! Bring your 3-6 year old to come learn classroom skills, make friends, and become a real Kindergarten All-Star. Session runs from Wednesday, December 5 to Wednesday, February 20 4:30-5:15pm. This program is in partnership with the South Meridian YMCA. Non Y members must show a picture ID at the front desk before entering the building. A YMCA membership is not required for this program!